If we don’t need expensive kit and we gain CPD for free. What’s stopping us? Open yourself a Makerspace. So, a third of our schools have ineffective computers and our budgets are tighter than ever with school being told we need to cut costs with the help of 2.3 million pound consultants. I’m not going to point out the dire situation in UK schools, as we all know this is unsuitable for anyone to teach under. More and more of our salaries are going on pens and basic equipment, whilst fat cat salaries and snake oil consultants are getting national coverage. I feel “tech” is restricting budgets in average schools. Funding being invested in “Schools with Cutting Edge Technology”, outsource STEM workshops to industry to fill Damien Hinds idea’s of a EdTech Revolution. This is really the privatisation of education. Well teachers, leaders and technology firms…. Hopefully I can give you a view that might change your mind next time you look to invest in schools, educational technology or build something for education..
Then there is the idea for some reason that we need to spend lots on it! Well in my second school we opened the first makerspace in the country this year, we were lucky enough to have the co-creator of Raspberry PI, Pete Lomas, to open it for us. We did this whilst also being in the bottom 10% of funding in the country. We are teaching our “digital up-skilling program” using Raspberry pi, Arduino, Mirco:bit, 3d printing, Unity development, design thinking and rapid prototyping. We are teaching Industry 4.0 skills that needed no massive funding. Anyone can deliver Internet of Things projects with a Raspberry Pi, their online guide is easy and a model 3 costs £35.92. Mirco:bits were given out free to all UK Secondary schools and also have free lessons. Arduino has free lessons and a board which can be brought for £20. Code Club has endless lessons we have outreached to our primaries and libraries giving us a chance to end involved in our communities. That’s building robotics, physical computing, RFID, NFC and a host of projects you can do which are at the cutting edge of technology. For 3d printing, what about Create Education, who not only have free CPD events and guides but will loan you a 3d printer to get started with! Then there is virtual reality, Unity will give you the software for free and CPD. There are free Cyber security lessons with the cybersecurity challenge or App inventor for building your own Apps. Or Intel’s Cloud computing guides, or Google classroom CPD and free software. 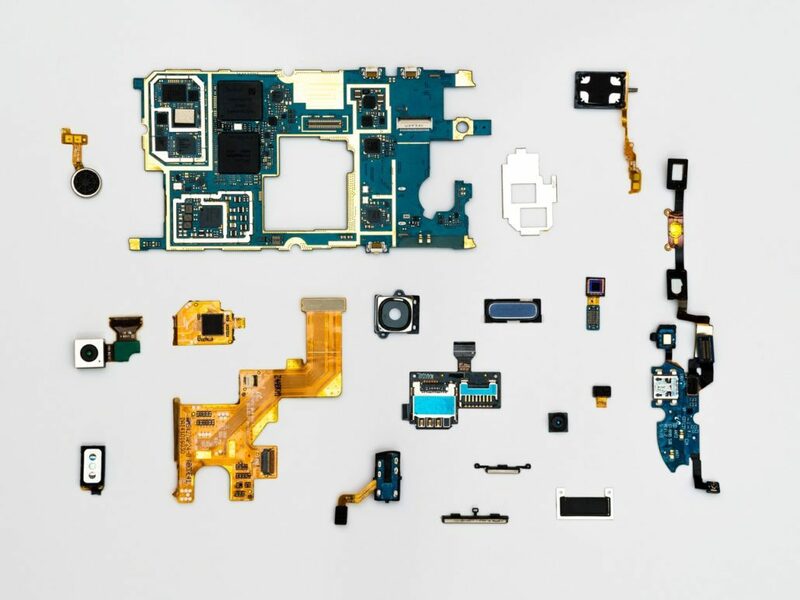 Why exactly is it that we need expensive kit to deliver Industry 4.0 skills? Or expensive consultants, or anything more than just support and time for our own personal development in using these technologies? Or we could just open our own makerspaces? We also have to question the data privacy of our students when adopting new technology as the data leaks at the major technology firms have shown, how safe is our students data? I believe the technological advancement in schools will only make real change if lead by teachers. If you know how to use these skills, you can deliver it year-long, not as a flash in the pan STEM event. You can embed it into your teaching and benefit us all by showing how these technologies fit into history, art, maths and everything else we teach. Don’t just keep them stuck in the extra curriculum. So if we don’t need expensive kit and we gain CPD for free. Then what’s stopping us…..
Caroline is a physics teacher at Penketh High School in Warrington. She is also the Director of Spark Penketh, the first school Makerspace in the UK embedding making across the curriculum and she has just won the 2018 TES New Teacher of the Year award for her work on STEAM learning! 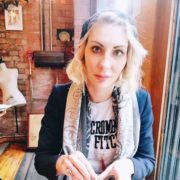 Caroline is also the co- founder of Liverpool Makefest, a festival to promote science, technology, engineering, art and maths and maker-education for young people. The festival is now in its fourth year and attracts over 5000 visitors annually. Caroline is also Founder of the Society of School Makerspaces, a founder member of the Guild of Makers and co-founder of the MakerNoise unconference on creativity, learning and maker education. 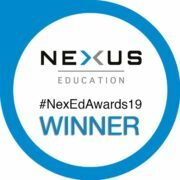 Winner of the Nexus-Education ‘Edtech/ STEM’ blog award.